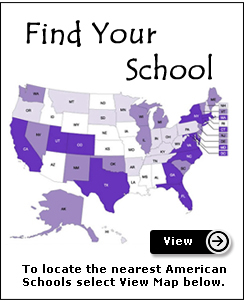 The Virtual Home School offers full access to over 250 online Middle School and High School education courses. Our one-of-a-kind, year-long subscription gives you access to the highest quality College Preparatory curriculum available on the Internet, with interactive online courses that cover the full spectrum of all core and elective curriculum required to graduate and earn a High School Diploma. All courses have been developed by subject matter experts and curriculum writers and developed to meet department of education requirements and competencies. 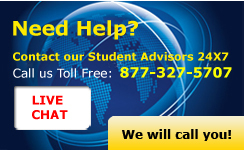 Courses are fully accredited and recognized by the U.S. Department of Education. Unlimited Access Low Cost - Easy to Use Access from Anywhere Cancel at Any time. Subscribers to the Virtual Home School will receive credit for the courses that you take as well as a Certificate of Completion for every completed course. All courses taken will be posted to your official High School or Middle School transcript, when all coursework is completed for that grade level. The certificate of completion is used to verify that you have taken a particular course. All certificates are FREE and included with the subscription, but the course must be completed before a certificate can be issued and credit awarded. There are no limits on the number of certificates that can be awarded or credits earned. However, in order to graduate with a High School Diploma you must earn 24 credits and maintain a 2.0 GPA. The Virtual Home School gives unlimited access to over 150 courses (General, College Preparatory, Honors, and/or AP courses). You are billed according to your renewal selection - monthly $49, three months $140.00, six month $275, or yearly $550. For monthly subscription you will be billed every 30 days until you cancel. Our terms of service state that you must cancel a monthly subscription at least five business days before your renewal date. These five days give us enough time to ensure that you will not be charged again. Payment for single users is by credit card only, and will appear on your card statement in your local currency. Once you have filled out the online form below, your credit card will be charged immediately and you will have instant access to the courses you have selected. You will also receive notice of payment and instructions on accessing your account sent to the email address that you enter in this form.